Welcome to a world of passion, endurance and two-wheeled exaltation. Get behind the bars of some of the world’s powerful sports and racing motorcycles and go tyre-to-tyre in an unforgettable sequence of competitive events that will take you all across the globe. Boasting some of the best rides from across a range of competitive classes – including everything from ‘nakeds’ and café racers to Supermotos and high-performance behemoths – Ride 2 invites you into the temple of two-wheeled motorsport. Choose from over 170 different models from 22 of the world’s most prominent manufacturers and tune them exactly to your specifications with over 1200 individually customisable parts of 600 hundred unique liveries. Once you’ve got your ride the way you want it, test your engineering and driving skills against the competition in 30 international circuits, contending with diverse weather conditions, challenging environments and a range of GP, city and country tracks. Buy Ride 2 on PS4. 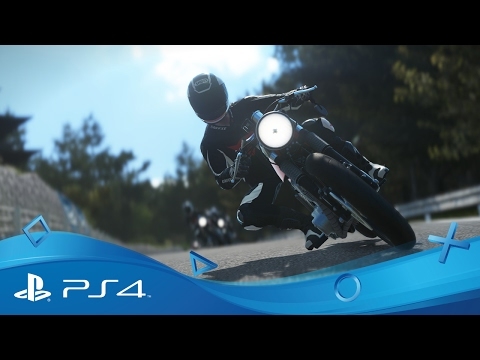 Race side-by-side with friends or rivals and pit your skills against the world's best riders with PlayStation Plus.